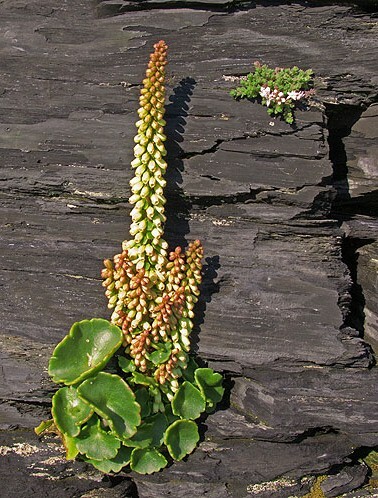 "Umbilicus Rupestris" , ( Wall Pennywort , Kidney Wort , Jack in the Bush ). A plant of walls , banks , rocky areas . Roundish , green , succulent leaves with a Navel in the centre and upright flower spikes of greenish or pinkish - white bell shaped flowers .